This entry was posted in movie, review and tagged america, carnegie hall, david bowie, florence, florence foster jenkins, helen mirren, howard wollowitz, hugh grant, judi dench, meryl streep, new york, opera, oscars, philomena, second world war, simon helberg, soldiers, stephen frears, the big bang theory, the queen, wounded by ViralVora. Bookmark the permalink. This movie is above all a beautiful love story.Streep is marvelous as always.Grant is superb,showing surprising depth and Helberg is comic perfection. It is indeed a love story but not in the conventional sense. 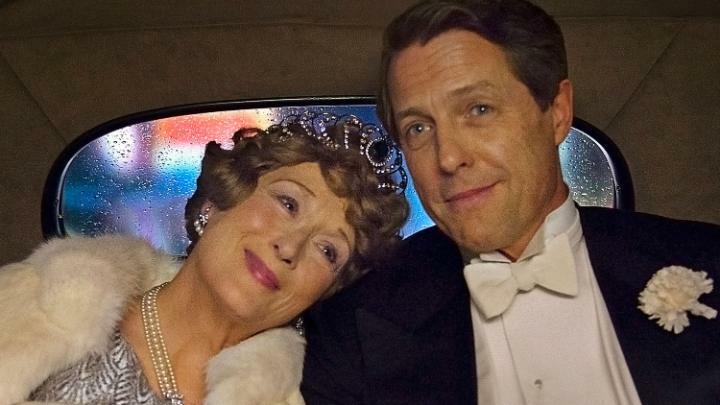 there is a love between streep and grant without the physical intimacy, love between streep and helberg in the most unusal of ways as both sees the other as tragic and in need of some nurturing. and most importantly love between streep and her penchant for performance and the world of music. thank you for leaving a comment! so glad you enjoyed the movie as much as I did.